Trying to find dorm room decor that matches your college bedding isn't hard with this stylish Flower Skull Poster! With a wide range of rainbow colors it is sure to pop with any bold bedding next to it in your college dorm room. Bright flowers in varying shades of pink, green, yellow, and blue will cover up blank dorm walls with little to no hassle involved. 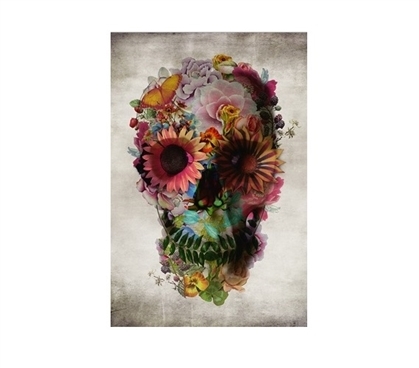 Skulls don't need to be all doom and gloom with these vibrant flowers adding a little life into your dorm room. Posters are a cheap essential that'll make you wish you had a bigger dorm room so that you could put more decorations up!